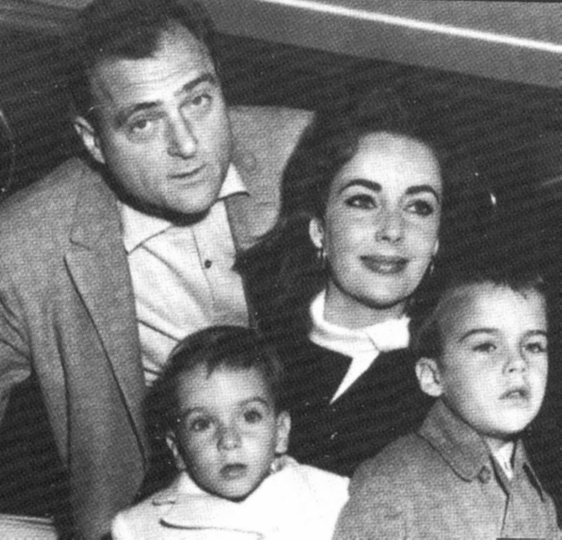 Liz Taylor-Mike Todd (third husband). Michael Howard Wilding,Christopher Edward Wilding (Liz Taylor's children). Wallpaper and background images in the Elizabeth Taylor club tagged: photo elisabeth taylor liz taylor. This Elizabeth Taylor photo contains suti biashara and biashara suti. There might also be mavazi blues, mavazi wazungu, nyayo, suti ya nguo, seti, seti ya nguo, mavazi kamili sare, full dress uniform, and kamili mavazi sare.